Grabbing a beer while at a baseball game is as American as preferring football to baseball. But when it comes to getting the best value on your brews, not all playing fields are even. 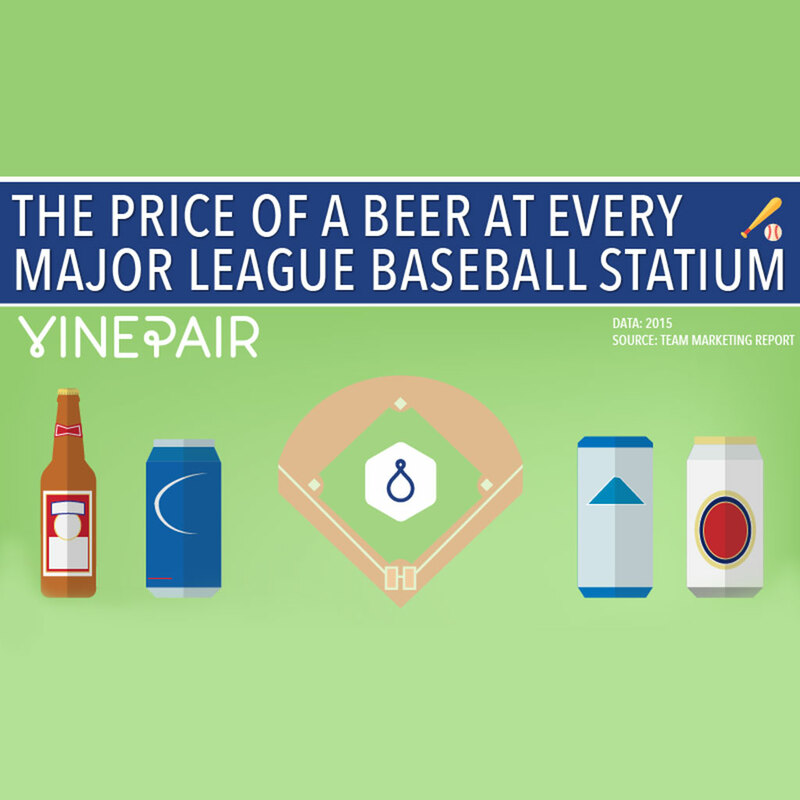 Using info from The Marketing Report, our friends at VinePair constructed this infographic ranking different baseball stadiums on the price per ounce of a small beer. The luckiest fans are those of the Los Angeles Angels. Not only has their team pulled ahead of the Astros in the AL West, their ballpark also slings the cheapest suds at only 28 cents per ounce. With a deal like that, LA Angles fans can drink enough to forget that they are unfortunately actually in Anaheim. Meanwhile, Boston Red Sox fans are getting the worst possible deal in a couple ways. Not only have the Sox ridden a seven game losing streak to the worst record in the American League, their beers are wicked expensive: 65 cents per ounce, a full 15 cents more expensive than the next most expensive team, their much-hated rivals the New York Yankees. Looks like the Yankees win once again. Also, a consolation prize to fans of the Arizona Diamondbacks: Your team has been an embarrassment for the last two seasons, but at least you still have one reason to go to the ballpark – the league’s second cheapest beers. Apparently, you can get a 14 ounce beer for $4 somewhere at Chase Field. That’s ridiculously cheap. Someone must have been sitting out in the sun too long.